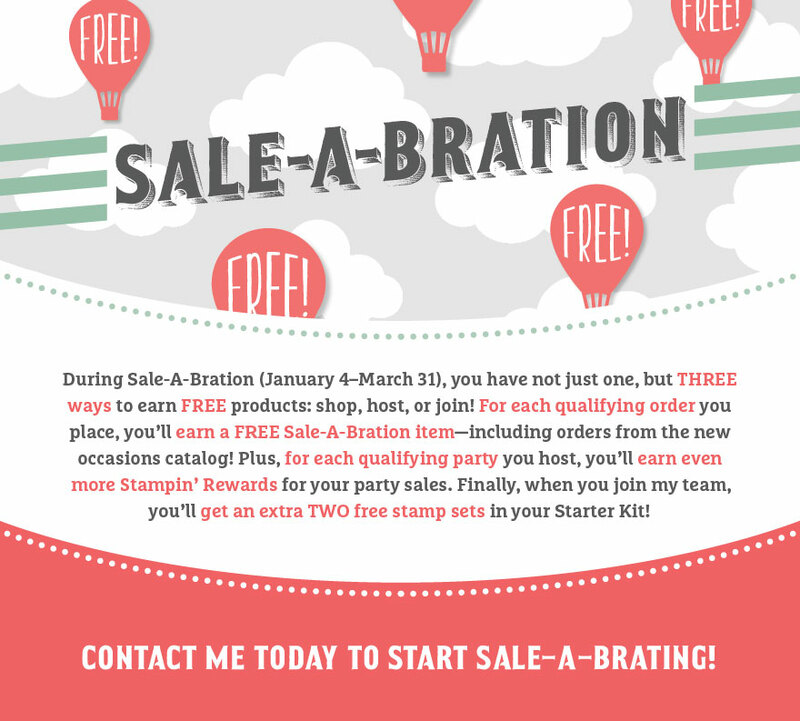 Do you like to craft in your PJ's? 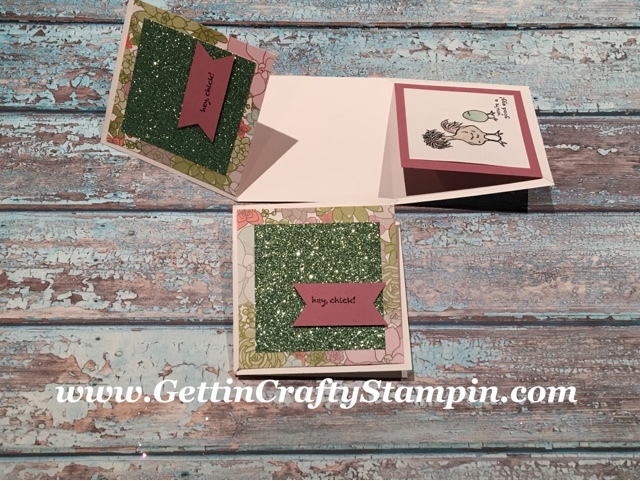 Create from the comfort of your own home (or anywhere with your smart phone) with our Facebook.com/GettinCraftyStampin LIVE card making and connecting times on Monday evenings. This sweet and sparkling chickens and succulents hand made card is sure to brighten any one's day! With simple fold accents - it's so much fun to WOW with an easy hand crafted card. Join Us for fun card making classes and create something that is sure to WOW and bless others! Did you know that we have a little farm? I'm a 'Goat Mom' lol to two sweet Nigerian Dwarf Goats (whom we will breed soon to have have babies and milk our goats). 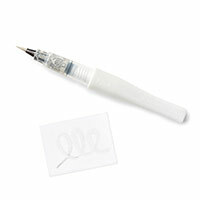 I've debated chickens... until I figure out if I have the time I can create with this *FREE (squeee!!) 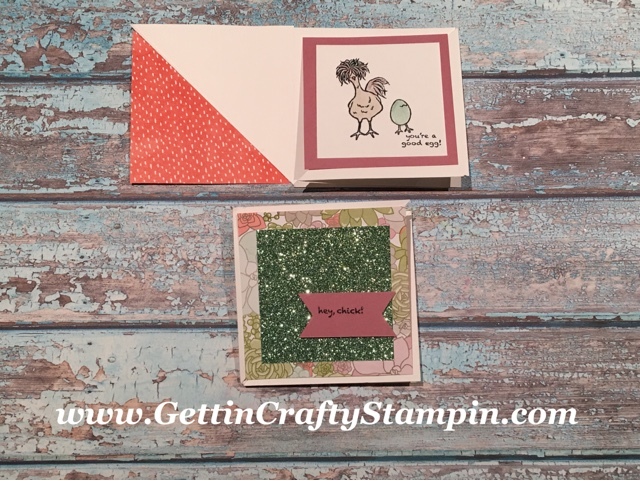 Hey, Chick stamp set!! 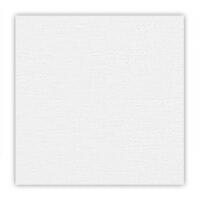 This is one of my favorite 'tricks' in crafting a WOW hand made card. 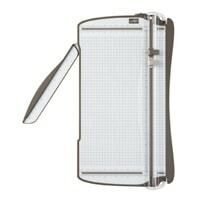 A 'fancy fold' is easy to do and delivers a hand crafted card that is above the rest. Created to sparkle - these chicks and succulents are sure to brighten your day! 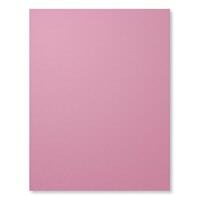 ~ Score a 12x12" Whisper White card stock at 4" and 8". ~ Turn and cut the card stock the opposite of the score lines at 4" and 8". 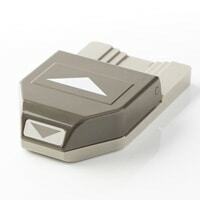 ~ Using the Stampin' Trimmer, score the two end pieces at a matching diagonal (see the video tutorial below). 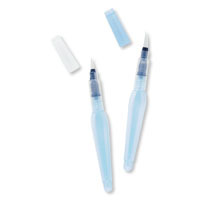 ~ Crease the edges with a Bone Folder. 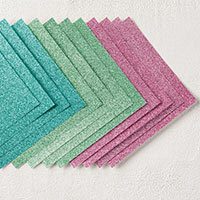 ~ Apply a 3-3/4" square piece of the Succulent Garden Designer Series Paper with Fast Fuse adhesive. 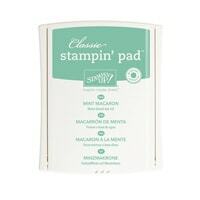 ~ Apply a 3"x3" piece of the in-color Mint Macaron FREE Glimmer Paper to the front of the card. 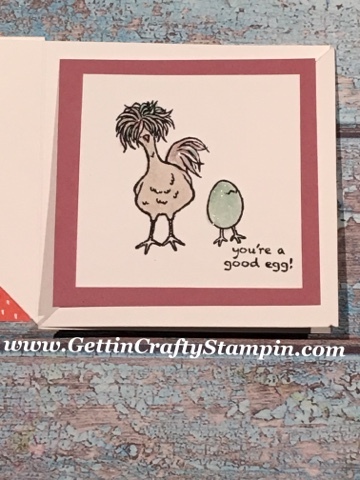 ~ From the FREE Hey, Chick stamp set, Stamp the 'Hey Chick' staying to a 1" strip of in-color Sweet Sugarplum card stock. Adhere to the front of the card with Stampin' Dimensional adhesive. 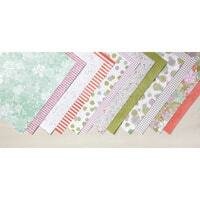 ~ Punch the edges with the Banner Triple punch. TOOL TIP: Punch one side, stamp the saying, using the punched - off piece as a guide on the opposite side to know where to trim and punch the banner. (see the video below to see this simple trick). ~ Adhere to the top half of the triangle on the card. ~ Adhere a piece of 3-1/2" square piece of Sweet Sugarplum card stock to the other half and lower triangle with Fast Fuse adhesive. 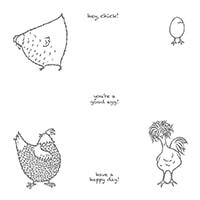 ~ Stamp with Black Archival ink pad these cute chickens on a 3" square piece of Whisper White card stock. ~ Water color with the Mint Macaron, Tip Top Taupe and Sweet Sugarplum ink pads. 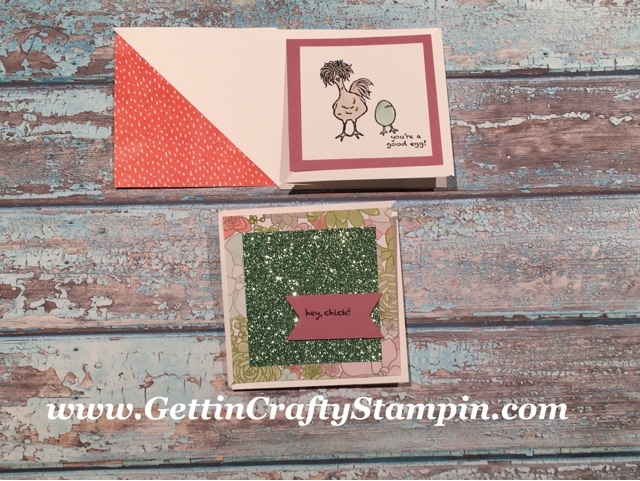 Created at a recent Facebook.com/GettinCraftyStampin LIVE Crafting Sessions.. this Sparkling Chicken and Succulents handmade card is sure to add sparkle to your day! From our FUN Crafting and Connecting LIVE on Facebook.com/GettinCraftyStampin we created and delivered SPARKLE to bless others and cheer ourselves up! Join us, in-person, to-go and at our crafting Retreat by the Beach to create and connect over card making and WOW hand crafted cards at our fun card making classes. 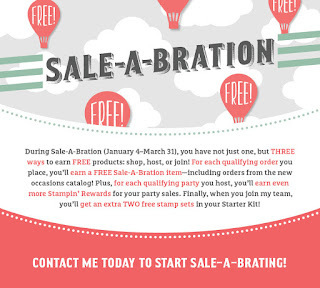 Shop with me 24/7 and then create with us weekly with tutorials posted over the week on my blog.